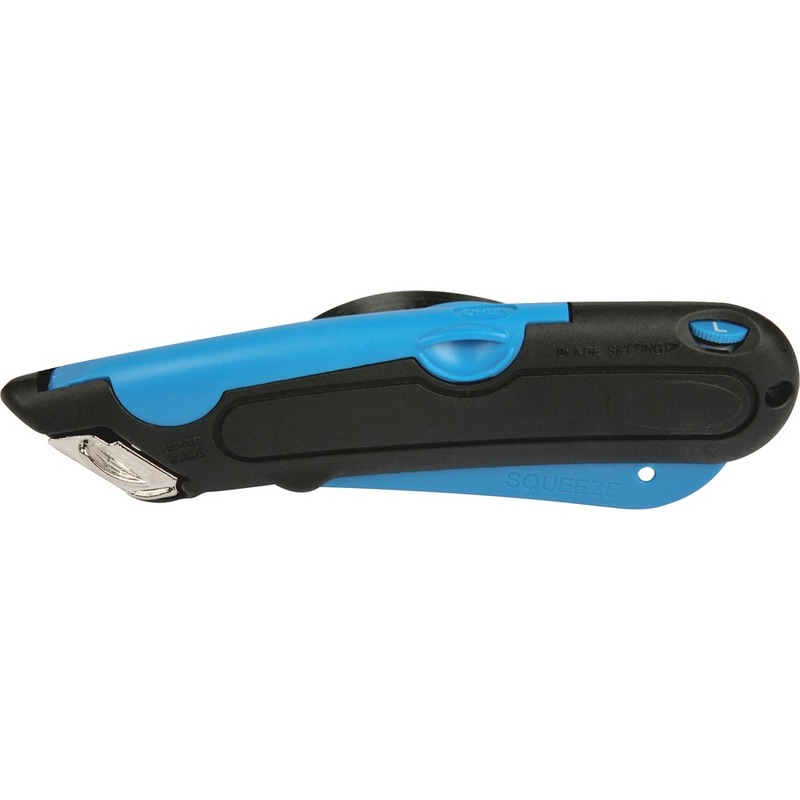 EasyCut Carton Cutter features a safety-tipped blade that retracts automatically upon release of handle. 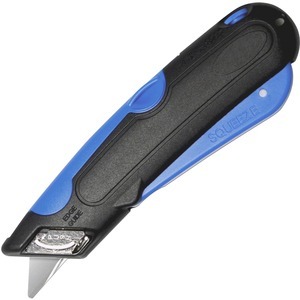 Blade length is easily adjustable, and the blade can be locked in the retracted position for additional safety. 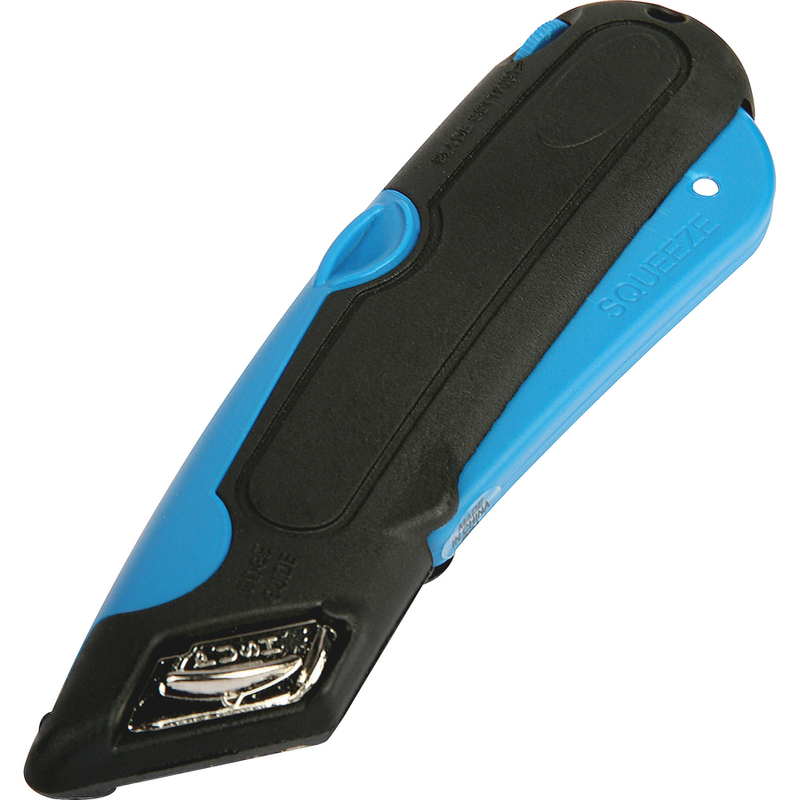 Retractable edge guides help in cutting box tops. 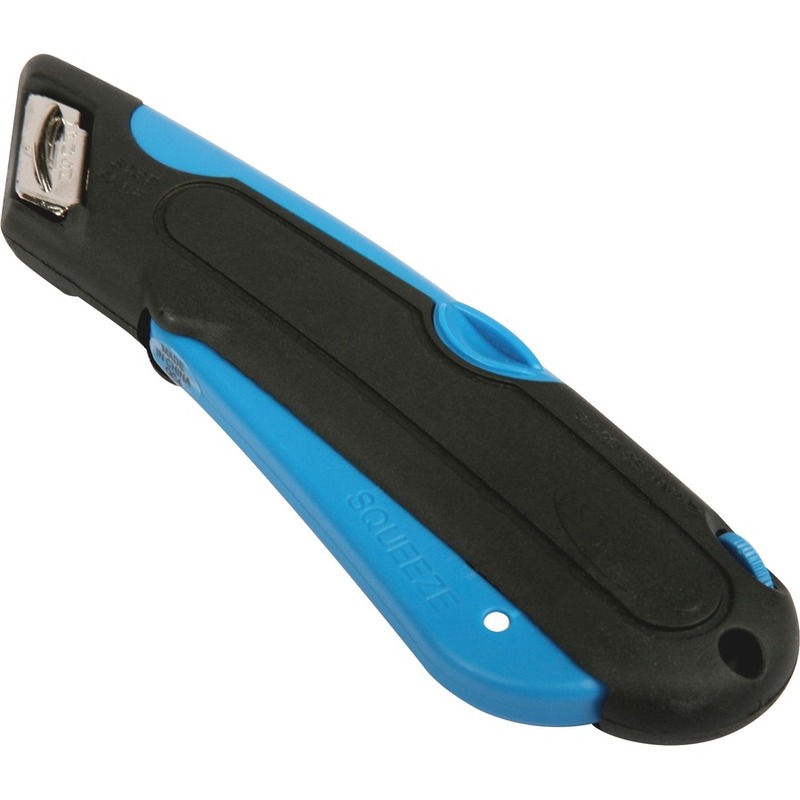 Handle stores additional blades in the blade storage compartment. 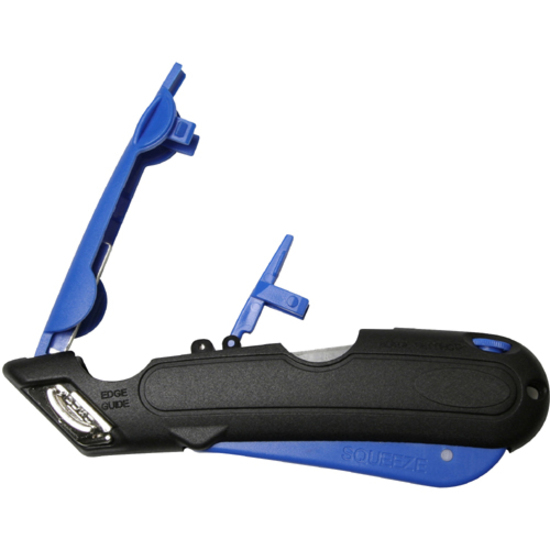 Carton Cutter is made of plastic and includes three blades. Blades are made of stainless steel to combat corrosion.